Italian catering is seen as traditional wedding catering, but that is because everyone can appreciate the rich flavors and lovely presentation. For a relatively cheap price, you can treat your guests to the authentic creations of Buca di Beppo Italian Restaurant. The catering served by this restaurant is always fresh, hot and delicious. Whether you want to serve a buffet or have your guests served, they will enjoy restaurant quality dishes at your reception. Top quality traditional Italian has never tasted so good. 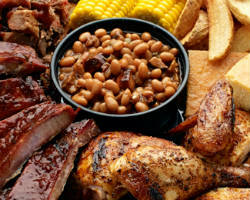 Famous Dave’s is known for providing the juiciest and most flavorful BBQ around, which is why they have become such a popular Mesa Catering service. If you love the game-day menu that this restaurant provides, then why not enjoy it on the biggest day of your life. They specialize in delicious buffet style service so your guests can choose which meats and sides they’d like best. Dave’s does cater for weddings but also does corporate lunches, graduations, reunions and holiday parties. Catering for your wedding or special event should be the highest quality possible. 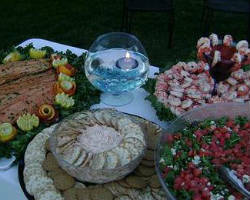 The food you serve will be what everyone is enjoying while they are making lasting memories at your reception. My Big Fat Greek Restaurant provides beautifully displayed catering that will keep your guests full, satisfied and focused on the event at hand. 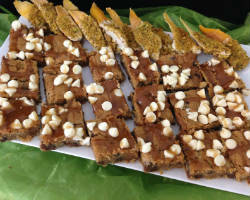 For any party, this local caterer serves traditional Greek food in a buffet style so your guests can explore new dishes or dig in to their old favorites. For a lighter meal or snacks to serve your guests at any event, Crackers & Co. Café provides delicious trays that include your favorites. 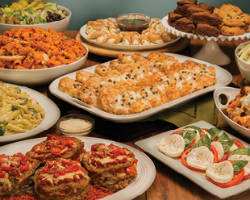 This catering company specializes in putting together party trays, hot breakfast buffets, sandwiches and salad bowls. 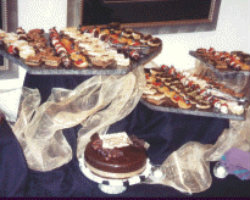 If you are having a small wedding or a baby shower, for example, serving a seated dinner is not always appropriate, and that is where this catering in Mesa, AZ comes in. For any event, their service is the best, timely, and always affordable. 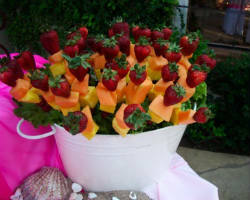 Epicurean Events is not simply a catering company but an all-inclusive wedding consultant service. While they will make your day flawlessly beautiful, their focus will be on providing a delectable meal for you and your guests to enjoy in a romantic atmosphere. You can have this company prepare a buffet or choose from their menu and serve a seated meal. Whatever degree of service you choose, it is well known that Epicurean Events will always strive to exceed your expectations. Finding the very best wedding catering companies in Mesa can be difficult when there are so many to choose from that claim to be great. Park Avenue Catering doesn’t have to make any claims about their service; they let their customers speak for them. The reviews of their work throughout Arizona have been nothing short of raving. For over 25 years, this company has perfected presentation and is always working to come up with innovative dishes to match your event. Making your wedding vision come true means dealing with countless vendors who need to be directed to your exact specifications. By choosing Straight to the Plate catering, you will have one less vendor to worry about on your big day as they take care of everything to do with catering and serving at your wedding reception. 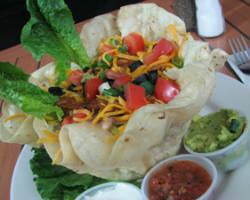 By preparing a menu of your favorites, whether that be crawfish or Mexican food, you know that you will be getting great food and with an impeccable track record.